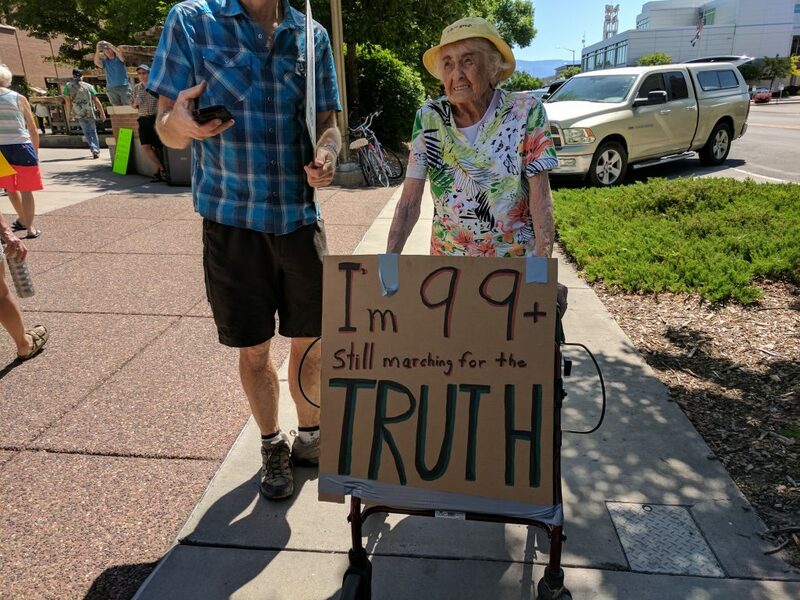 In a mark of just how much Grand Junction’s progressive political community has grown in recent years, speakers at Grand Junction’s “March for Truth” on June 3 lamented a low turnout of about 200 participants to protest the outrages of the Trump presidency. Many remembered the days in the not-so-distant past, though, when a turnout of 10 or 12 people backing a progressive cause in our area was considered a successful turnout. How times have changed on the western slope! Activists organized the March for Truth to urge the creation of an independent commission to get to the truth about alleged associations between President Trump’s campaign and Russia, and to find our more about how Russia influenced the 2016 U.S. election in Trump’s favor. Citizens also want action to prevent such foreign interference in elections in the future. Demonstrators also demanded President Trump make his tax returns public. He has so far doggedly kept them secret, giving the impression that they contain information that could doom his presidency. 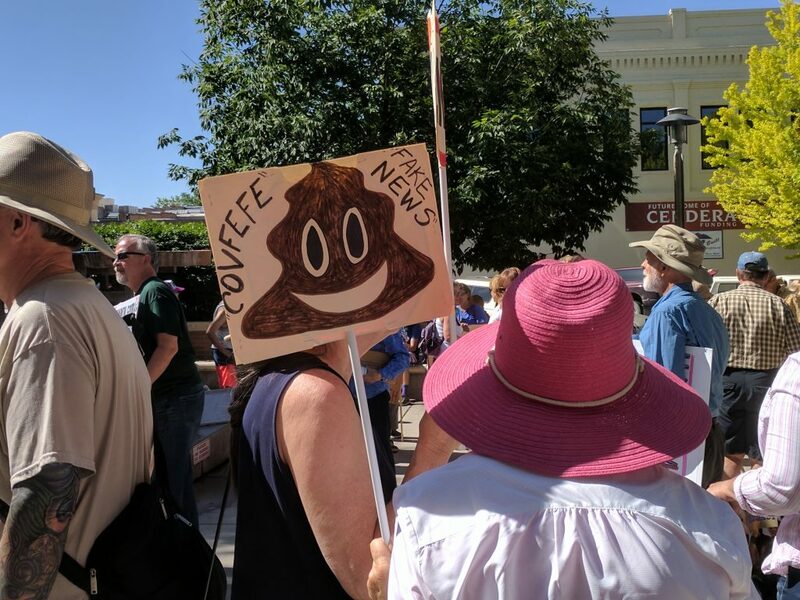 Protesters also expressed outrage that Congress has not taken any action to address the myriad financial and ethical conflicts President Trump and his family bring to the Presidency. Protesters marched from Grand Junction City Hall south to Main Street, turned east to 7th, crossed the street at the Avalon Theater, and then marched along the south side of Main back to Fourth street and back up to City Hall. No street permit was obtained for the march, so protesters kept to sidewalks, stopping for traffic lights and cross traffic. The protest stretched for blocks. Protesters were orderly and good-natured, and many thanked the Grand Junction police who ensured safety along the protest route.